I love natural shapes and I couldn’t have imagined a more stunning shaped sculpture than this. 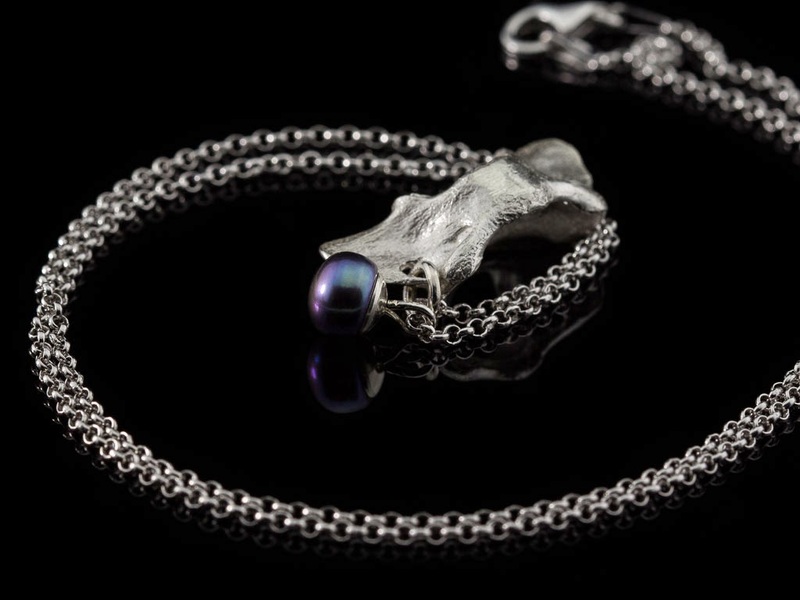 I have cast a vertebrae bone of a mink from an old collection in Sterling Silver. 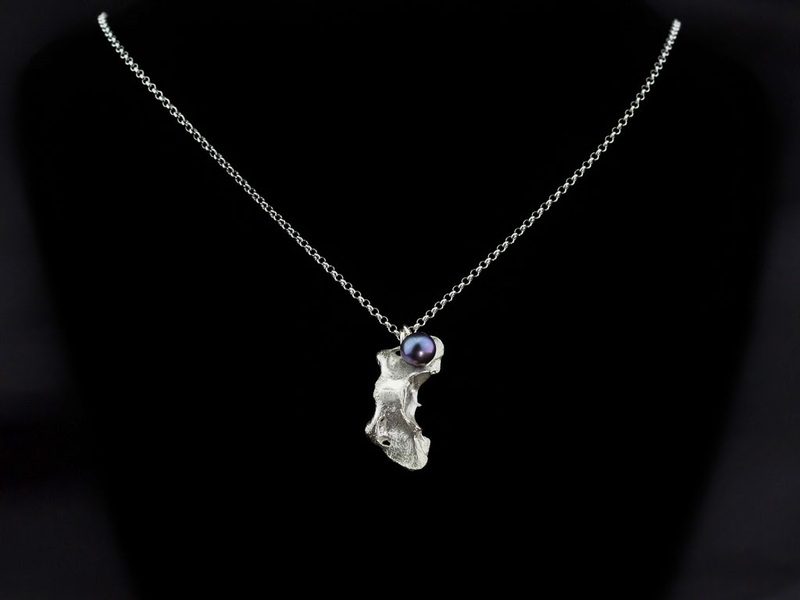 It carries a Freshwater Button Peacock Pearl, which shimmers in the most amazing purple and blue colours and has an excellent lustre. 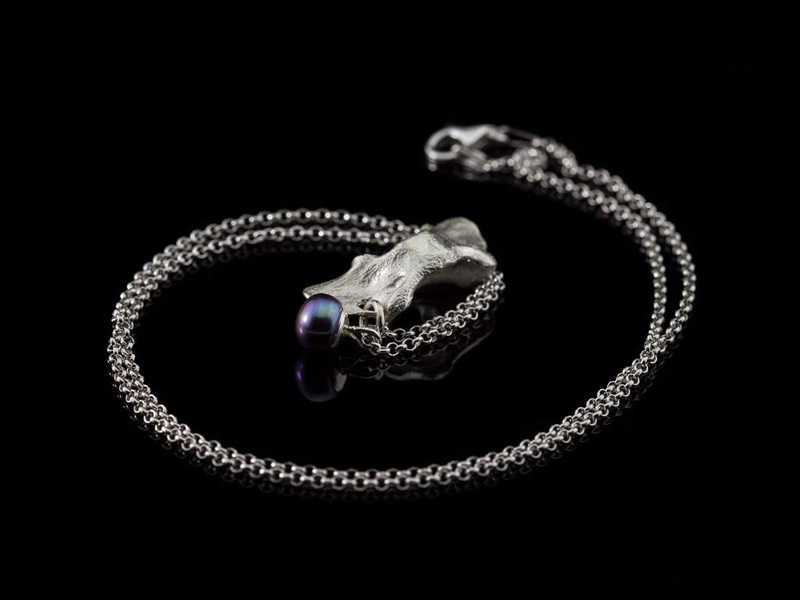 The high quality Sterling Silver chain has been rhodium plated. Totally blue today. I mean the sky. Now I think I just caught that sky into a necklace and that's why it's called BLUE BREEZE. 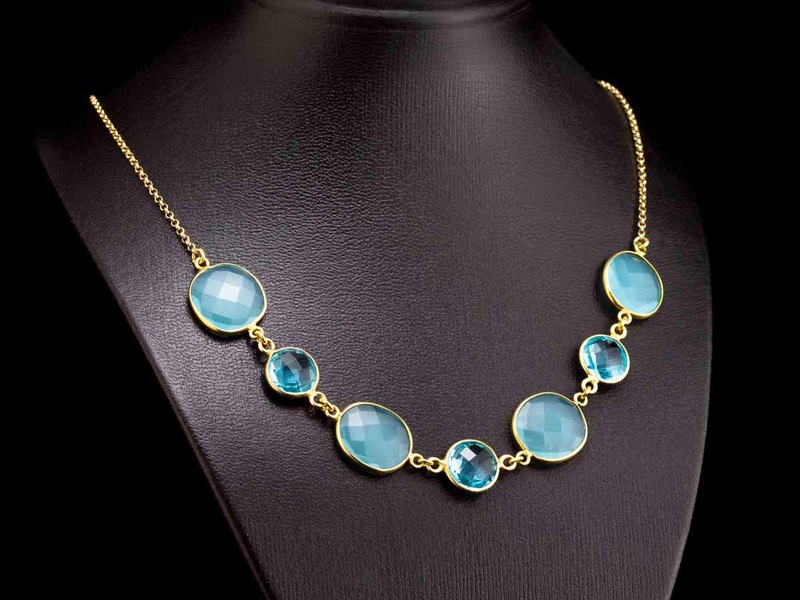 It carries lots of semi-precious stones as polished facetted discs which are light blue Chalcedony and Swiss Blue Topaz. 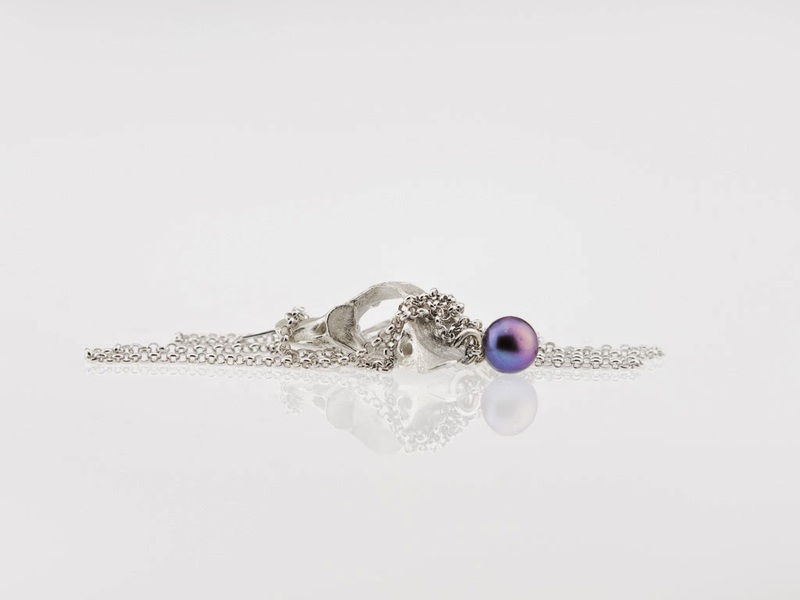 The necklaces' links and settings are all in Sterling Silver that has been covered with Gold. It's May already, the time for Emerald. 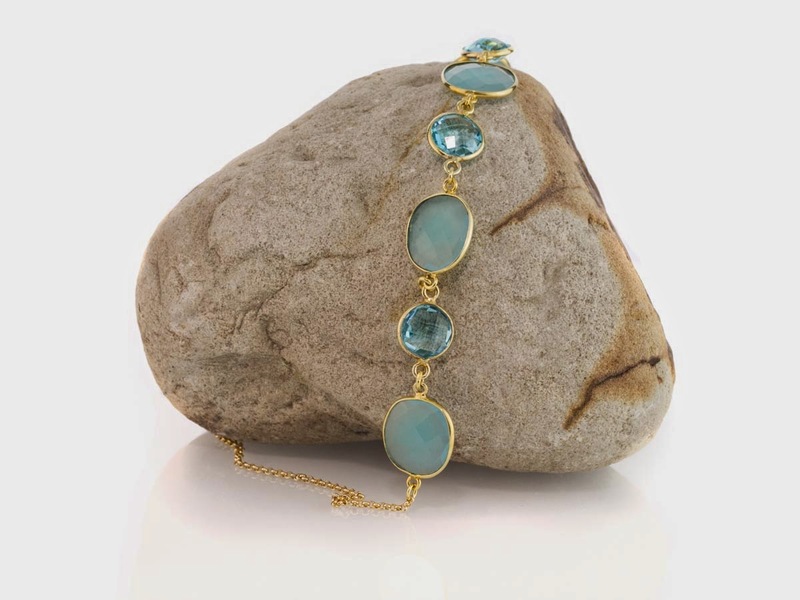 Here's the lowdown on this precious stone. the greek word prevails: ‘smaragd‘. regarded the this precious stone as holy. These were already exploited by Egyptian Pharaohs between 3000 and 1500 b.c. rediscovered in the early 19th century. Emeralds can be more valuable than Diamonds. The green of the Emerald is the colour of life and spring. For centuries it has been the symbol of beauty and of constant love. 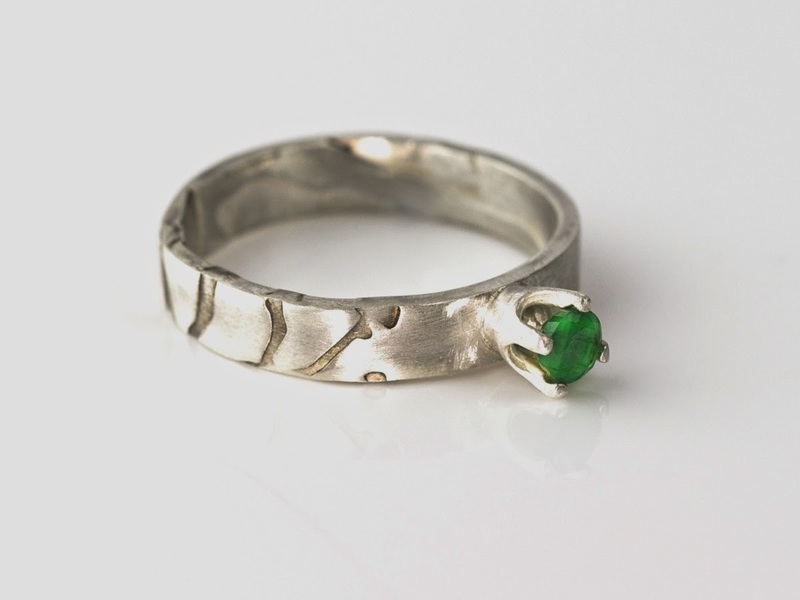 Part of my new Emerald collection is now on the website of ADFK Jewellery. Today I want to show you one of my favourite pieces in the new collection. 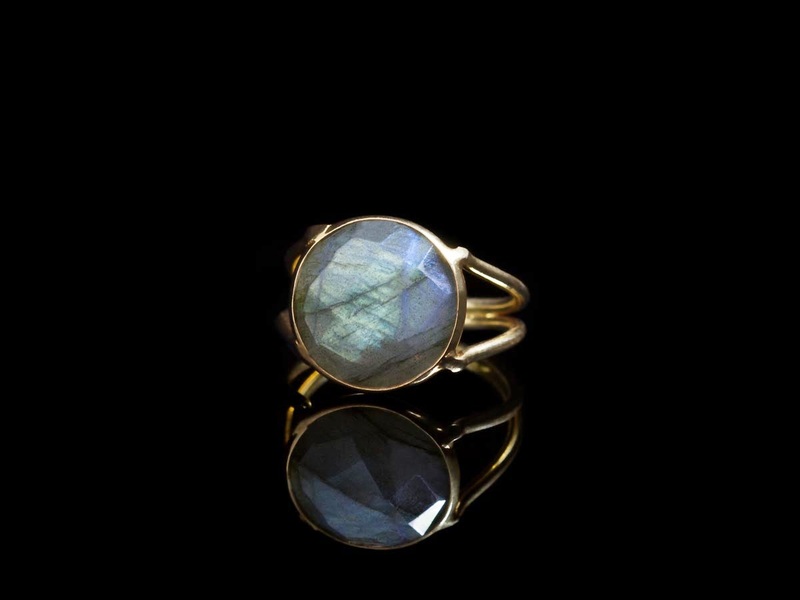 This is my new Gold vermeil ring with the most delightful round Rainbow Labradorite. You can see why they call it Rainbow. Sparkling in green and blue that appears to be hailing from within it is very captivating. The twofold shank gives the ring a certain delicacy and it likewise allows the light diffusing through. Sterling Silver that has been covered in Gold. 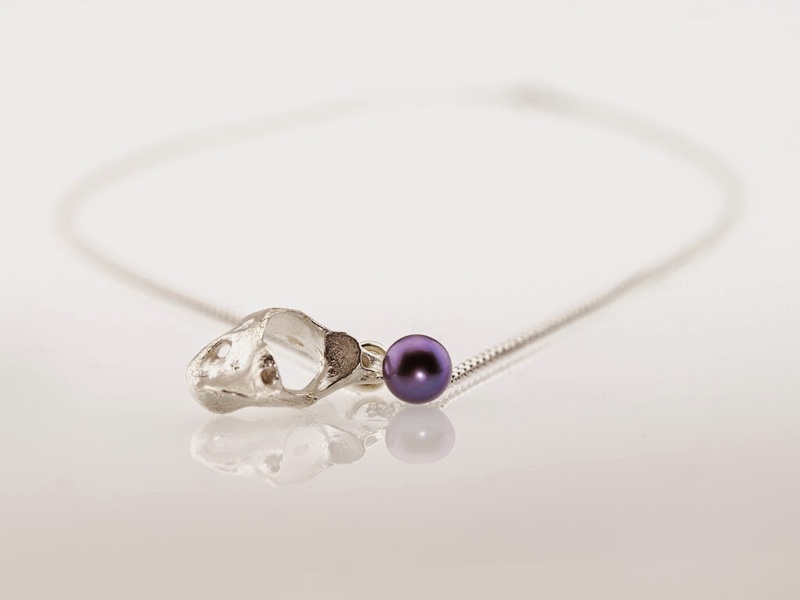 Check out ADFK Jewellery in Hessle or online. I'm sitting in my workshop in front of my macbook and have a coffee on the side. I'd better begin, before someone gets bored. I'm Alexandra and I make jewellery. Fine jewellery that is. Gold and Silver and precious stones, gemstones. Not just throwing together a few glass beads, no I have actually learned the trade and studied 3 D Design. If you ask me if the degree has given me any boost, I prefer not to answer. I am greatly self-taught and learned from great goldsmiths and stone setters. There are some other very nice materials in my collection like leather, Murano Glas and the list goes on, but more at another time. turn it into really nice precious little jewels. the lesser known and the stones that have a special meaning. Join me on my journey making unique pieces. Right now I'm working on catalogue number 1245, I think. That's right. Every item is one of a kind. I never do an item twice, at least not exactly. Well, if you really ask me to do a second version- but that is exceptional. I have a website- of course, how can I live, when I don't sell. See more infos at ADFK Jewellery.